I talk a lot about dealing with the crabs in your bucket. Their negative words, actions or overall vibe can do some serious damage to our self image, dreams or big goals. The crabs like to tear you down by making jabs at the progress you’ve made, constantly attempting to knock you back down to their level. What did you do three days ago? Last week? A month ago? Most of us are so involved with this moment right now that we can’t remember what we wore yesterday. Yet we spend so much time worrying about tomorrow, two weeks from now, or four months from now. How often do you spend time in the present moment? 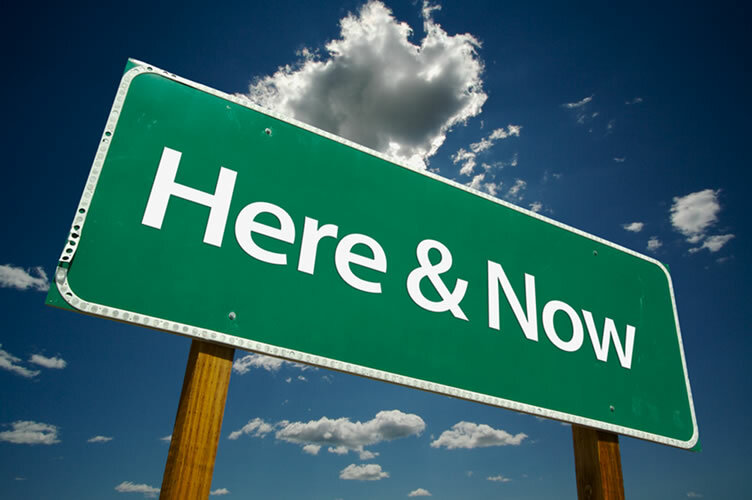 For many of us, thinking about “right now” has to take a back seat to the duties of tomorrow and the mistakes of yesterday. Being present means in today’s age talking about something that bothered us at work or sorting out the kids’ schedules for the next few weeks. Are Your Assets Aligned With Your Emotions? Is your money aligned with your emotions and not just your financial risk tolerance? With all the market volatility how do you feel? Do you have your personal board of directors in place to help? Consider how you are feeling about your money and decide if you need to make any changes. Julie Murphy Casserly, CLU, ChFC, MBA, CFP®, and author of The Emotion Behind Money: Building Wealth From the Inside Out talks about how to energize the things in your life that you want. That includes allowing your money to flow to those things. If you are someone who keeps your money close to the chest this message is for you!